Small Paws Wakefield | Pets like holidays too! Home from home boarding for small animals. Spacious indoor and outdoor accommodation for rabbits, guinea pigs, chinchillas, hamsters, degus, rats, ferrets etc. 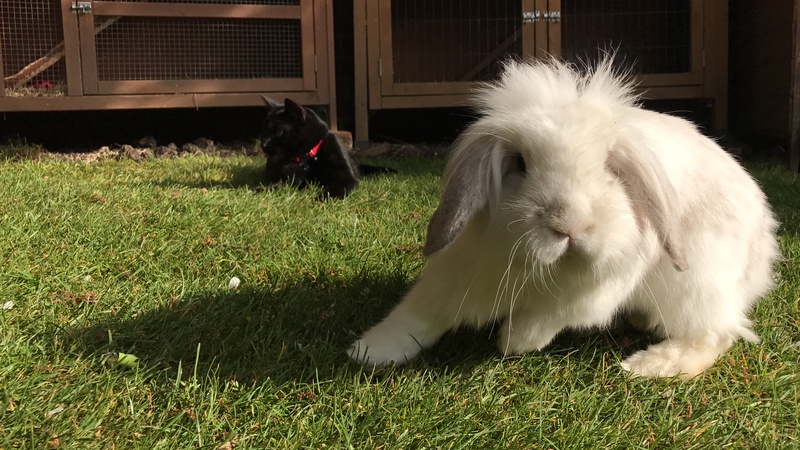 We post pictures and videos on our Facebook page so you can keep up to date with your pets’ adventures while they’re with us. Home visits throughout Wakefield and the surrounding areas. We’ll care for your pets in your own home, so if you need your dog or cat to be let out and fed or just feel like your pets would be happy staying in familiar surroundings, you can trust us to look after them like our own. We’re really proud of our five star rating on Facebook. Take a look at our page to read more reviews and see lots of pictures and videos of our happy visitors! We have a wide range of double and single hutches, most of which are custom built and several large indoor cages of all types. We even have a magnificent multi tier palace ideal for ferrets!